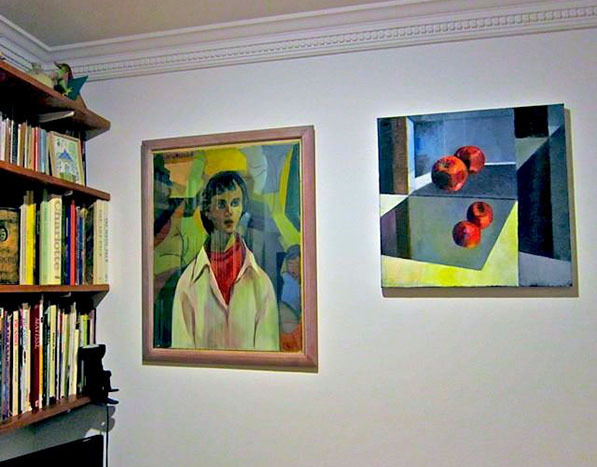 The corner of my living room which inspired the setting of the new boxwork and the paintings actually hanging on the wall, mini-versions of which feature in the scene. The painting over the mantelpiece is Sonata for Apples and Chairs (2007) - I made a video showing its evolution, here it is. In case you're interested, a few other videos I've made are here on Vimeo. And some are on Youtube. 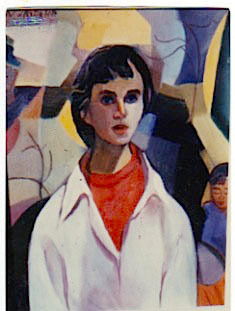 Of the other two paintings below, one is a self-portrait painted in Sao Paulo, Brazil aged 21. 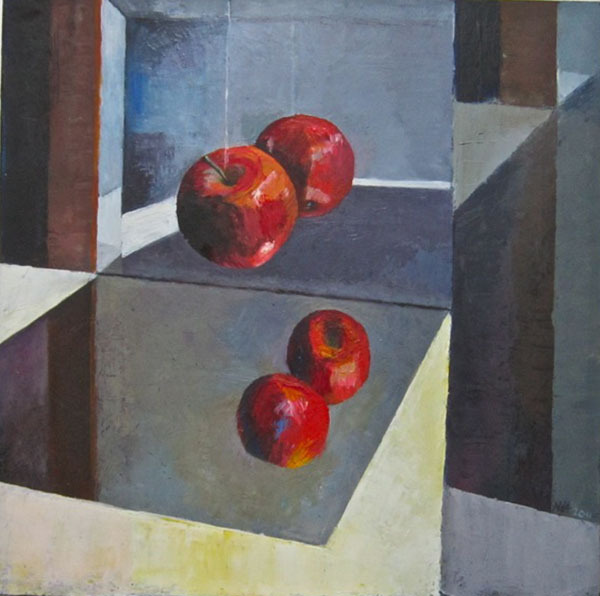 The other one is Apples Reflected (2011). Now all I need is a play or an animated film imagining what the angel/paper doll is saying, what the artist is thinking, and what the apple theme is about. Don't ask me, I haven't a clue. 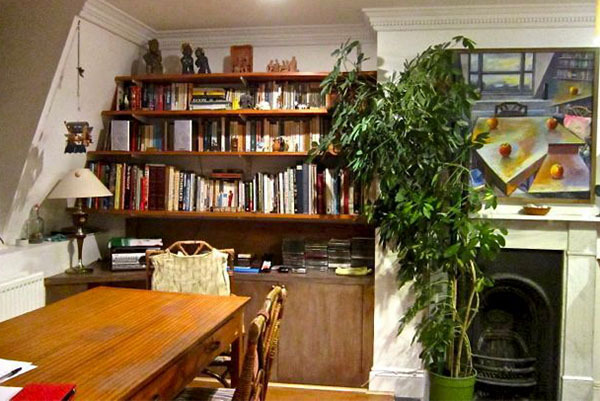 It's always nice to get a view into an artist's atelier. Thems look roight juicy apples, m'dear! Bruce, your visit is my pleasure. Tom, for some reason I've always liked painting apples. There's somthing simple and direct but also mysterious and symbolic about them. Plus they taste nice!